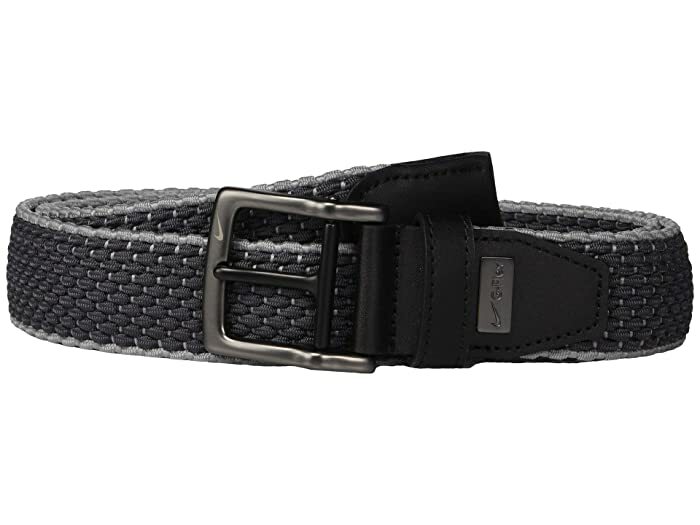 Find a performance-focused balance between casual and dressy with the Nike® Stretch Woven belt. Woven textile allows for comfort and durability. G-Flex® features state-of-the-art fibers that twist and turn with the body for increased range of motion. Leather trim for added style. No-hole strap offers a custom fit. Metal buckle with single post.